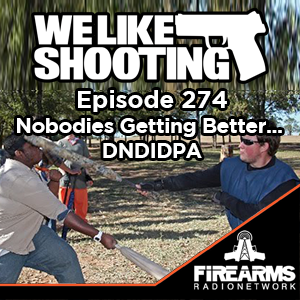 Welcome to the We Like Shooting show, Episode 274 – tonight we’ll talk about Motorola Talkabout walkie’s, the MOLOT Super Vepr, shootout challenge, pistol red dots, Modern Samurai Project and more! Our cast for episode 274 is Shawn Herrin, Aaron Krieger, Savage1r, Jeremy Pozderac, Nick Lynch! Sheriff in WA the first to take a stand and refusing to enforce I-1639 by creating a sanctuary city. Dumbass Representative Swalwell tweets that gun owners who refuse to go along with gun confiscation should be nuked. Also, an expert on guns. Hassan Whiteside leaves a $50,000 full auto AR in his car, it gets stolen and later recovered. Trump administration sued over marijuana users being blocked from owning firearms. AND a lawsuit for discriminating against adults under the age of 21. Shawn I am your biggest fan! If you were to get in a car wreck by my house I would nurse you to health then break your ankles with a sledgehammer so you could never leave me. I love you. I binge on your show and eventually fall asleep feeling guilty and fat… just not as fat as Nick. IT”S A COOK BOOK!! 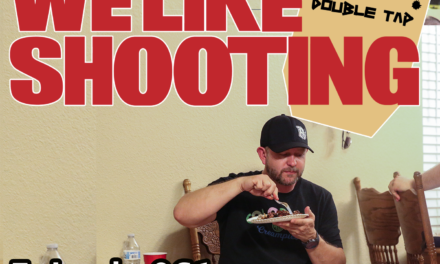 IT’S A COOK BOOK!!! !.